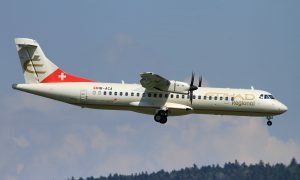 Since mid-July, a 50-seat Saab 2000 rented from Etihad Regional has been covering the Bern-Basel-London City route for SkyWork Airlines. The plane has also been used on other busy routes when necessary. Darwin Airlines, the owner of the aircraft used by SkyWork Airlines, recently announced that, as of 12 December 2015, the SkyWork Airlines flights will have to be discontinued due to a crew shortage. As a result, SkyWork Airlines will resort to an alternative plan to compensate for losing the 50-seat airplane. From 12 December, SkyWork Airlines will exclusively fly its own 30-seat Dornier planes for the rest of the winter flight schedule. Departure times for London City flights will be a few minutes earlier. Two planes will be used for those days featuring high passenger volumes, with some flights leaving Bern directly for London City and others going directly from Basel to London City. From 1 January 2016, there will also be a midday rotation on given days to provide the required number of seats. These additional rotations will also go from Bern via Basel. The Dornier 328 required for the rotations are to be taken from the Bern-London Southend route, which will be discontinued after 28 December 2015. Travellers who have already booked a Southend flight for 2016 will be contacted by SkyWork Airlines and moved to the London-City midday flight rotations. 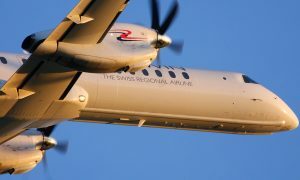 SkyWork Airlines negotiated with Darwin for five months over the acquisition of Saab 2000 aircraft. Although an agreement had been reached in principle, Darwin announced last week that it had still not come to a decision about removing its Saab 2000 from service. As SkyWork Airlines cannot wait any longer to implement its planned measures, the company shall now initiate a plan which had been negotiated in parallel with another supplier. As a result, the long-planned operation by SkyWork Airlines of two Saab 2000 in April and May will go ahead. As of that date, another Dornier will be removed from operation. The fleet will thus comprise five aircraft for the 2016 summer time table, three Dornier 328 and two Saab 2000. The replacement of all the Dornier’s will be completed by autumn 2017. The fleet conversion will take place in tandem with a moderate expansion of the route network as per the SX GO project under the 2015-2018 business plan.